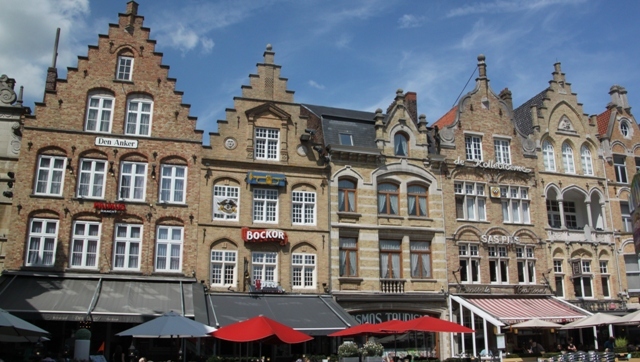 Ypres is pretty and civilised, a charming little place whose streets are peppered with smart little bars, patisseries and boutiques. A century ago it was all so different. I read somewhere this was “Britain’s cockpit of war,” apt words. 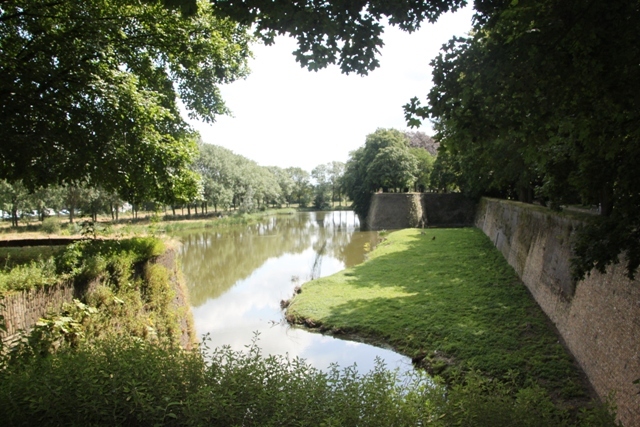 Too close to the Channel ports to relinquish and almost impossible to prize from the Germans during World War 1, four massive battles were fought around Ypres, often over the same ground. Just about everywhere here, every piece of earth and every place you look there is a story of heroism and heartache. So many young men from both sides lost their lives here. After the Great War the whole town was flattened, there was pretty much nothing left. Hard to believe today, it looks just like a charming medieval town. However if you look carefully you can see the stones are not worn by time. The town was rebuilt brick by brick after the Armistice. We spent the morning in the museum “In Flanders Fields” getting a tour of the harrowing war years one by one. 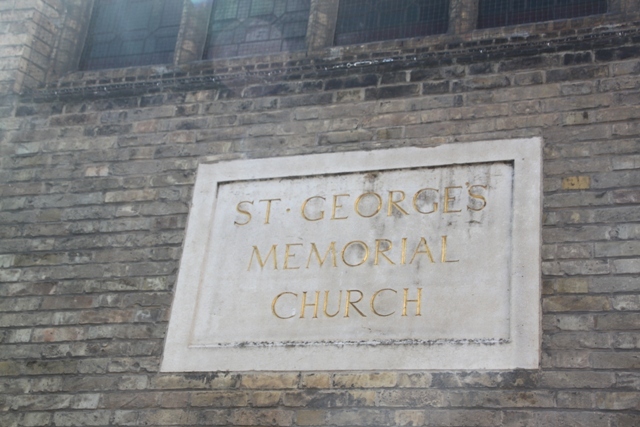 After a picnic lunch we headed just around the corner to St George’s Church. 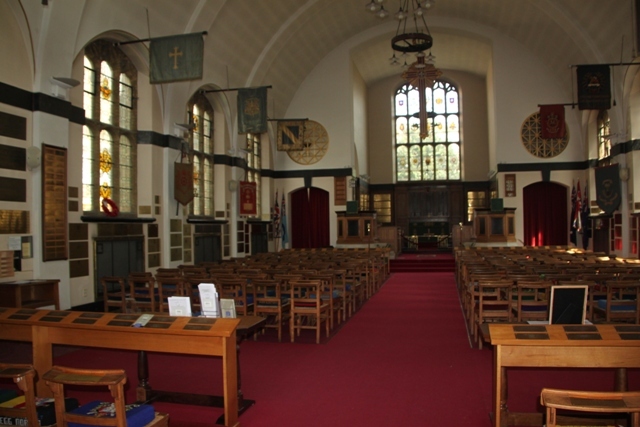 Built as a memorial to British and Commonwealth troops who died in the first World War, it was also planned as a place for bereaved families to visit. Every single item inside the little church is a memorial. 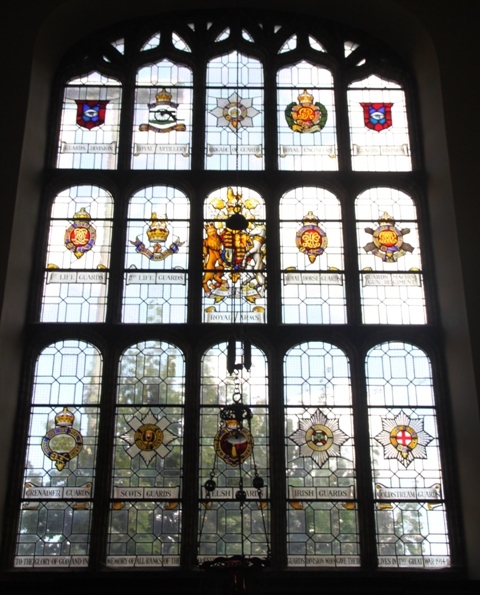 We looked at the vast numbers of school plaques on all the walls remembering former pupils killed in that awful war. A quiet and still place where reflection comes easily. 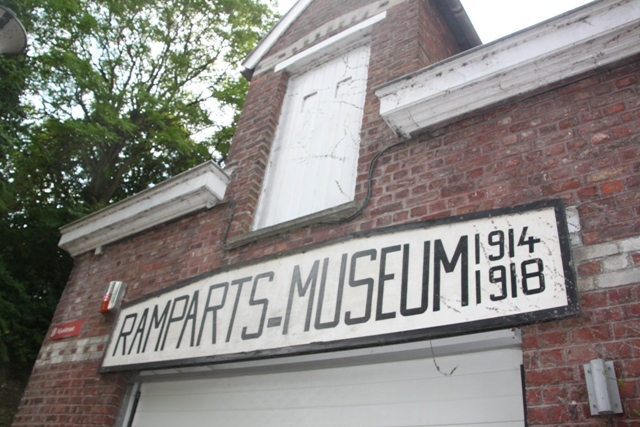 A walk around the town ramparts makes for a very pleasant stroll, inadvertently we came upon the Ramparts Museum. 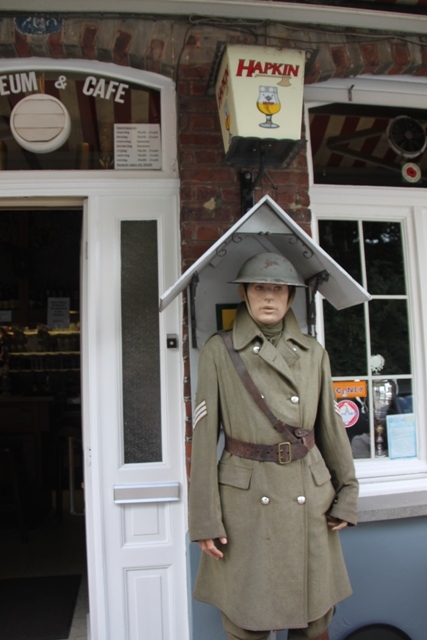 A very quaint pub was a good place for us to rehydrate then we had a look in the little museum. More like someone’s shed rammed full of interesting war “stuff” these kind of places seem very common in this area. 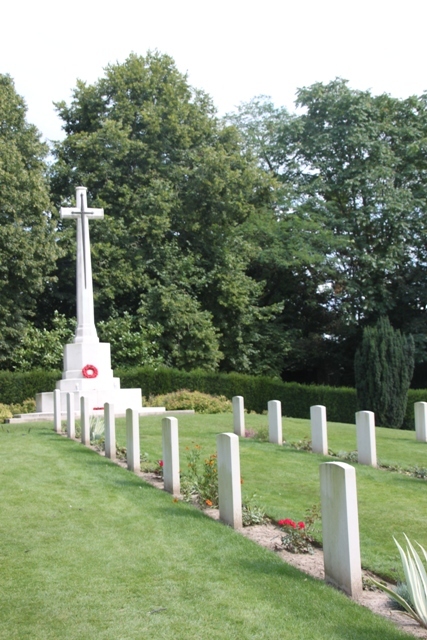 The Ramparts Cemetery is close by, our first experience of the war graves. A beautiful setting overlooking the water with row upon row of white crosses. Some have no name, others have names and ages – all are far too young. 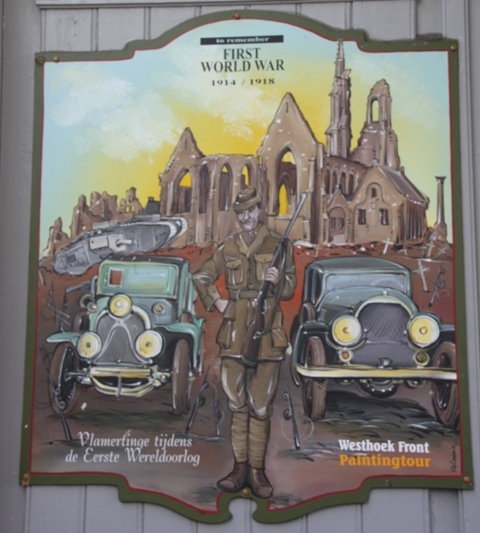 We made for the main square in the early afternoon, picked a quaint little restaurant and feasted on plates of hearty beef stew washed down by a foaming glass of beer before it was time to head to the Menin Gate. 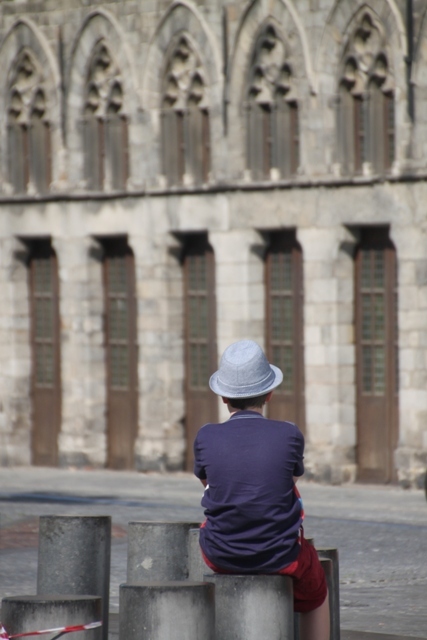 My brother recently visited Ypres on a history tour with his school. It seems there are a depressingly large number of WWI and WWII memorials all over Europe – it is hard to fathom. The number of lives lost in the area just around this one little town is unimaginable. 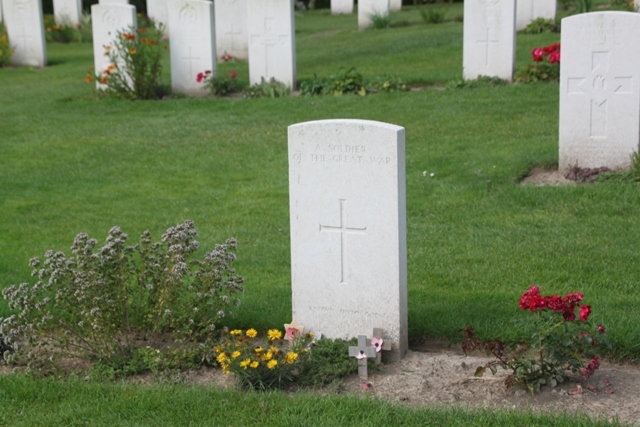 It really brings the scale of the conflict home when you visit the cemeteries and see all those white crosses, so sad. Must have been interesting there too though Suzanne! 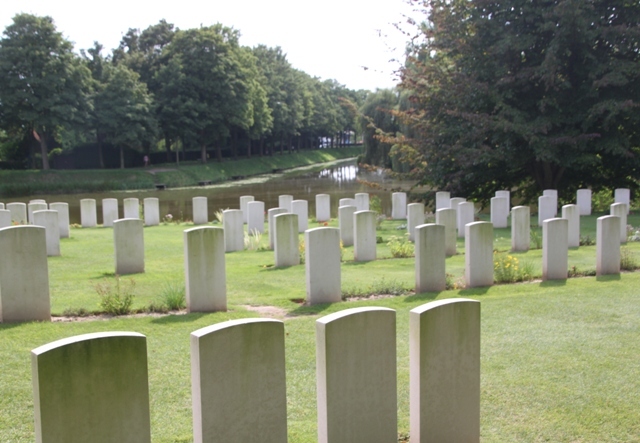 Ypres is well worth a visit if you get back to Europe. It was indeed very interesting. 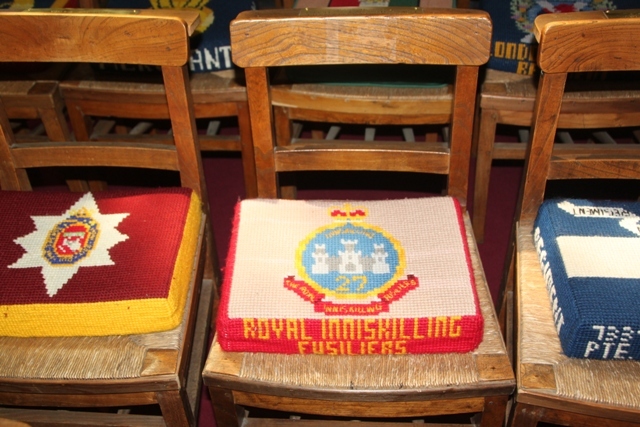 We also were there on Nov 11 to attend the annual commemoration which was also very touching. You can still see some of the bomb craters and the Canadian monument is quite impressive as well. Yay, a place I’ve never heard of before! Pretty cool that they’ve rebuilt the place like it was! It’s such a fascinating place to visit, so much history and so much to learn about, definitely worth a visit. I appreciated this post. Thoughtful and clear. Thank you – you want to do a place like this justice, I hope I did! 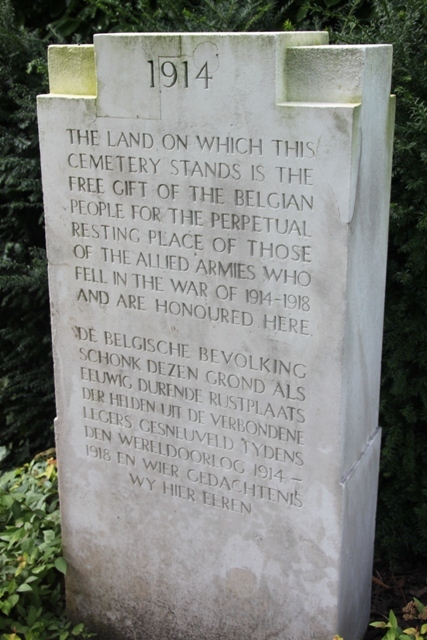 I think it’s so important to visit places like Ypres – to remember what was lost and what had gone before. It must have been quite a humbling experience and to visit Flanders Fields. I remember feeling this when I went to the Bridge of River Kwai and visited the graves of men who lost their lives. It’s great though, that twinned with something so poignant you could also enjoy a stroll. That must have been an incredible experience too – sad and humbling. I completely agree, it is vital to visit these places and remember, not always a lot of fun but so important. 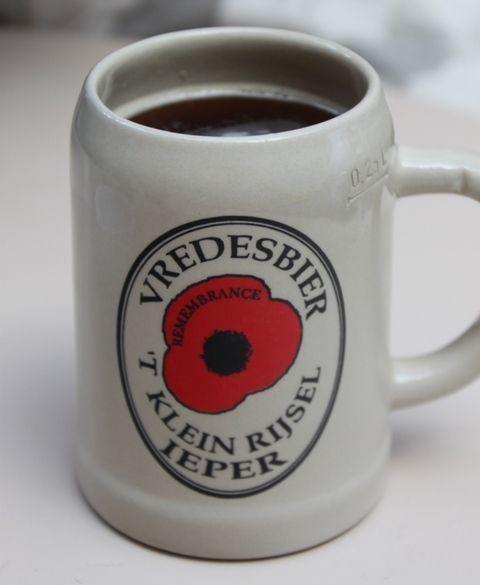 You certainly did Ypres justice in this post Joy, it was a pleasure to read with just the right amount of sombreness for a part of Europe that suffered so much almost a century ago. Thank you!! We had such a fascinating day in this little town, as you said very sombre and sad but utterly compelling. Having had an interest in WWI for years it was wonderful to finally be visiting Ypres and the whole surrounding area. The church is really lovely, I could have stayed there for hours George just reading the memorials and reflecting. Ypres is such a compelling place, so much sad history but so interesting. 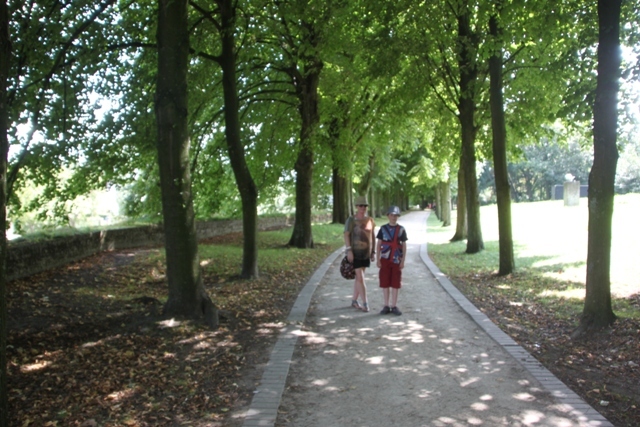 We took a tour from Brugges to Ypres. It was one of the best tours we have ever taken! Enjoyed your article! I am amazed how much of the same things we like! Ha Ha! Are we sisters? Great minds think alike and all that!! Ha ha…. It was so completely fascinating here, never been anywhere like it, as I said in an earlier post we had only planned to spend one day there and ended up going back again the next day – one of the best places I’ve visited too. It is a strange sensation when you visit – or at least it was for me Rosemary. All those old buidings, but when you realise they are actually quite new and the whole place was flattened sends shivers up your spine. The church was beautiful, very fitting and so peaceful, a great place for reflection. Yes I’d find it a bit strange too Joy – all is not quite as it seems and you sense the sad history. Still I much prefer it when the buildings are reconstructed as they would have been in the past. Some friends have just come back from Warsaw and that has been extensively rebuilt but still looks “old”. Dresden would be the same I’d imagine – we wanted to go there when we were in Berlin a couple of years ago but didn’t have time to fit it in. Would love to visit Dresden and Warsaw too Rosemary – so many places, so little time!! I know Joy I’m just doing a timeline for our next trip to the UK hopefully next April 😃 We are trying to decide on side trips from the UK so many places we want to go to and time is of the essence! The friends we caught up with last night have also just been to Kraków, which looked beautiful in their photos (also confronting as they went to Auschwitz). We thought it was beautiful too Diana, such a peaceful and reflective place. It is so sad what war does to places and people. It is good to remember and it looks like this town helps that for sure. So true Jenny, a great place to visit and reflect on such a sad period of time. Joy, it seems as though you find some really interesting places to visit. Love seeing these places through your eyes! Beautiful tour as always! Thank you Pam – this place was very special. So interesting but so haunting too! I love the cemetery too..great photos..always an interesting read your posts are :). Thank you!! This place was incredible, so full of history and the cemetery was so moving.